This post is the first in a series on 'The Web and the High Street'. One of the most fascinating and pressing issues facing retail today is to what extent the rise of ecommerce will alter the landscape of the High Street. A number of facts are clear: more and more people are shopping online; and more and more bricks and mortar stores have been closing. Conversely, food and service sector bricks and mortar stores are taking a larger share of retail space than ever before, as video stores, office supplies outlets, electronics stores and other commodity retailers cut down or go out of business. 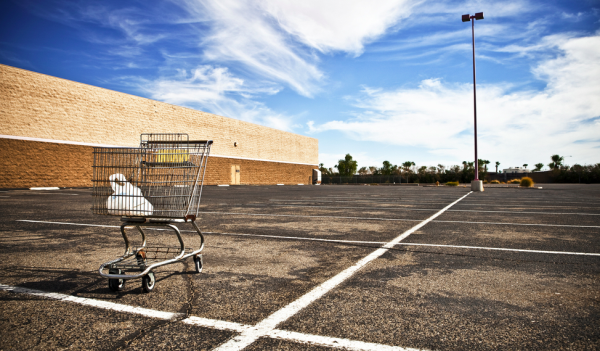 There's even a website devoted to failing shopping centres in the US, called deadmalls.com. The last point has a lot to do with the recession of course, but in many cases - Jessops the photographic store being a prime example - the switch to online was a major contributor. I have done it myself - most of us have visited the local Jessops store to look at the cameras, compare models, and in some cases get advice, and then go home and compare prices online. If the price online is lower than it is in Jessops, it's a no-brainer. 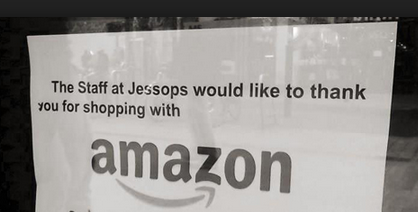 The only way Jessops could compete would be to make the sale when you are in store, perhaps by bundling up several items and accessories. There's another interesting development, and one that we have noticed at Ometria when looking at client data - and that is the type of browsing that is happening via mobile phones. Some interesting things are going on - first, conversion rates are low compared to say, tablets - I guess no surprise there. However, browsers seem to be using the search function much more frequently on mobile, or coming into the site from very precise product keywords, and often with only a model number. It turns out that the bulk of what goes on via mobile phone is price comparison, and more often than not in store. Once again, I found myself starring in my own movie, as it were: going into PC World the other day to buy a printer, I found myself checking the price of a Canon Inkjet against the price online. Searching in Google using only the model number, I immediately hit upon four cheaper offers with one from Argos being 30% cheaper. Clicking through, I discovered that not only was the price better, but that it was available on click and collect 500 metres away from where I was standing (sitting down, actually). So from the comfort of my PC World armchair I was able to pay for the printer in Argos, then wander down the road to pick it up. I imagine this sort of consumer behaviour is widespread - it's certainly game-changing. So what are the implications? It depends to some extent on the industry. In electronics and other commodity retailers, the only differentiator has to be service and support, as prices will inevitably converge as they become more transparent. PC World has certainly made a start with its Computer Clinics. As it happens, the printer I bought has developed a fault after six months, and possibly I would feel better returning it - and would get better returns service - from PC World than from Argos. And if I had bought it from one of the online suppliers like Microdreams, then returning it would have been a big hassle, and most likely cost me high shipping charges. So there are definitely some advantages in having a physical store to return to. In fashion, there are similar advantages to a physical store - for trying on as well as returning. So the future will most likely see a convergence of online and offline. Showrooming. Bricks and mortar stores will carry limited stock but a larger range, and shoppers will be encouraged in to browse, and order and pay in the store for home delivery. Price comparison. Transparent price comparisons already happen in-store in the supermarkets like Tesco and Asda, and this will start to appear in commodity stores like electronics stores. Expect extra benefits and after-sale services to be bundled in to the in-store prices, to encourage purchase. Affiliate deals. In some cases high street stores may offer you the option to buy online with their competitors, from within their store, if the price is better. For each affiliate sale, they will earn a small percentage sale referral fee. Online only stores will start to open bricks and mortar showrooms. This has already happened extensively in the US. Amazon have plans to open stores, and in the UK the Cambridge Satchel Company have opened two physical stores in the last six months, having started with a 'pop-up' store last year. Service hubs. Several online retailers could club together - or a new player may emerge to aggregate them - in a new high street showroom and service hub. So next time i buy a laptop from Microdreams I can first of all test drive it in store, and second, buy with the confidence that I can return it there in case of problems. Online Options. Bricks and mortar stores will become a lot better at allowing customers to buy online while in the store. This is already happening in shops like John Lewis and Burberry, where shop assistants wander around with iPads for instant access to a much wider range of stock on their website. In a recent visit to Burberry in Regent Street in London, I saw more people browsing their stock on iPads, than actually looking through the clothes on the rails! "Experiential Retail" is the expression on everyone's lips, and increasingly bricks and mortar stores will do everything to turn the shopping experience into an entertainment experience. Reward Loyalty: Bricks and mortar stores will introduce much more attractive loyalty and reward schemes, and shoppers will be encouraged to check in in-store, for instant offers onto their mobile phones. Extended Opening Hours: Stores will offer extended opening hours in the evenings, perhaps at the expense of later opening hours in the morning, as they offer much more of a socialising vibe - places to hang out, browse, try on, meet friends and drink coffee. Customisation: Bricks and mortar stores will offer more on-the-spot customisation, as well as on-demand manufacturing. This is a very exciting opportunity that we may see a lot more of in the years to come. Offline exclusives: There will be a rise in 'offline only' lines and variations, and offline retailers will favour manufacturers that are most successful at protecting their brand and pricing online - this is especially true in fashion. Customer service levels in high street stores will improve - except where it has become semi automated, as in Argos. Comfort will be a very important attribute - customers will be made to feel much more comfortable and looked after in the offline store - the very thing that online finds it hard to offer. Trust will be key here. These are just a few of the directions in which bricks and mortar stores could go. The traditional shopping experience was always a two headed beast - it could be either an enjoyable experience, or a chore and a necessity. Shopping in Tesco was often the latter, but with online shopping, the chore/necessity aspect has been removed. The chances are, then, that shopping in bricks and mortar stores is set to become much more enjoyable.